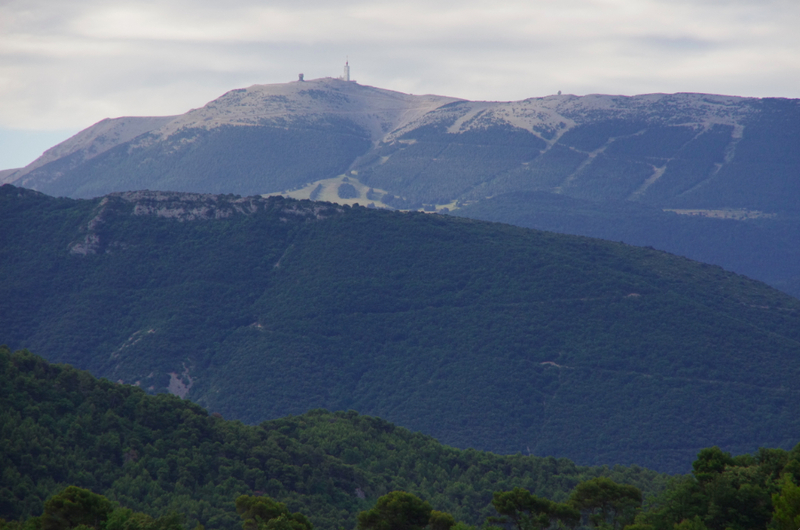 Part II of II : Being a tourist near Mont Ventoux. This is the second part in a series of two about riding one of the best climbs in France - Mont Ventoux. 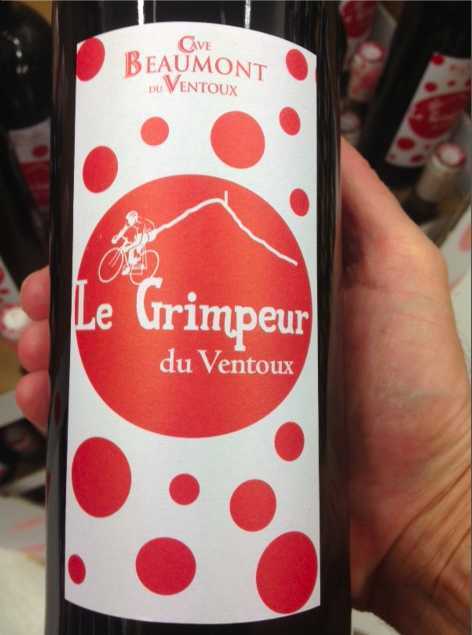 What would you be doing if you went to Mont Ventoux? Ride a bike!! Okay what else? Well, you would be right next to the Rhone River, which means wine! 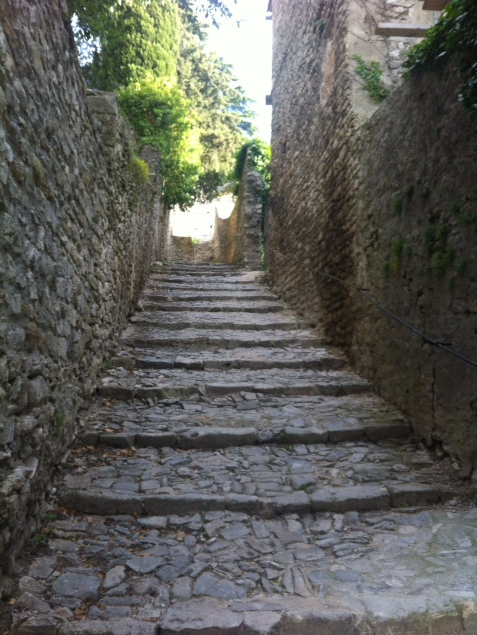 You are basically in Provence (Luberon), which means morning markets, fresh food and very nice Bed and Breakfasts. You are a stones throw away from some of the most magnificent Roman ruins and historic landmarks located in the cities of Vaison la Romaine, Orange, Avignon, Arles, Marseille, and of course the magnificent Pont du Gard (big huge roman bridge). You are also near the charming smaller villages of Bonnieux, Rousillon, Crestet, Gigondas, and others that dot the countryside. 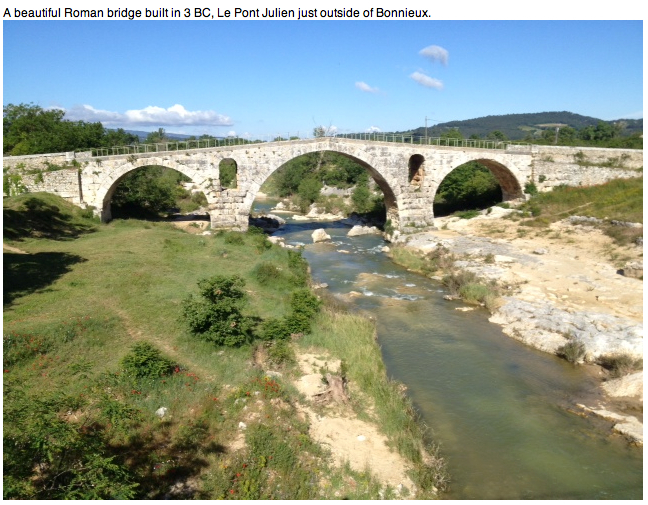 History time: "The Celtic-Ligurians were the folks the Romans had to conquer in order to get hold of Provence, after which they named it Provincia and thoughtfully constructed the many Roman ruins tourists now flock to see," read more: Provence: Romans vs Celts, By the New York Times. Wine time: There will be no drinking anything but local wine while playing tourist in this region. Which means avoid purchasing your wine at E.Leclerc, and instead buy from a local shop. Definitely try the fresh fruit from the market and the local (sometimes expensive) cheese. Bread - always buy from a boulangerie! (The Baguette). Before you know it you will return the the States wearing summer whites and carrying a straw basket to the market - a far cry from Lycra! Wine drinking should commence as soon as possible after the summit of Mont Ventoux has been reached, the chamois have been removed, and a patio table has been commandeered. 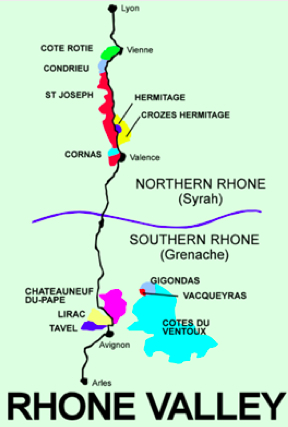 Rhone River Valley map and grapes galore. Think more wine drinking, than wine tasting. You have probably assessed by now that the area is excellent to visit as a cyclist if you have non-cyclists traveling with you, or have travelers who require nice accommodations (not always required for cyclists). Mont Ventoux should be climbed early morning to avoid extreme heat and high winds, which conveniently leaves your travel companions time to head to the morning markets or to sleep in. You will still have time for afternoon tourist activities, or find yourself resting by a nice B&B pool with a picnic, and more wine! Bike paths meander throughout the Luberon for casual day rides. A list of bike hire places in France, although I believe equipment matters so always bring you helmet, shoes, pedals, and maybe even your saddle, with full bike measurements of your bike back home. You'll want to start your climb early to avoid heat and winds. Remain at the summit - to wait for you friends who are much slower climbers than you - no, to take pictures, meet other cyclists, and cheer on riders as they arrive. Allez allez is all you need to know. 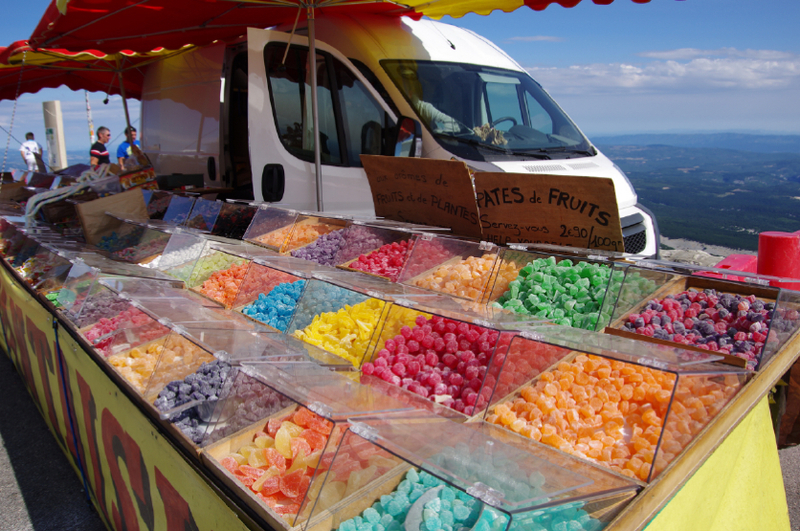 Also to see if anyone actually buys those petrified candies and cookies that have been on the summit for years. Watch the men playing bocce ball in the town of Bedoin; enjoy a nice post-ride lunch in a cafe; stop in the local bike shop to buy your Mont Ventoux jersey or souvenir. Have a cool drink or lunch on a restaurant patio in the town of Malaucene or watch the large screen TVs if you are there during the Tour de France. 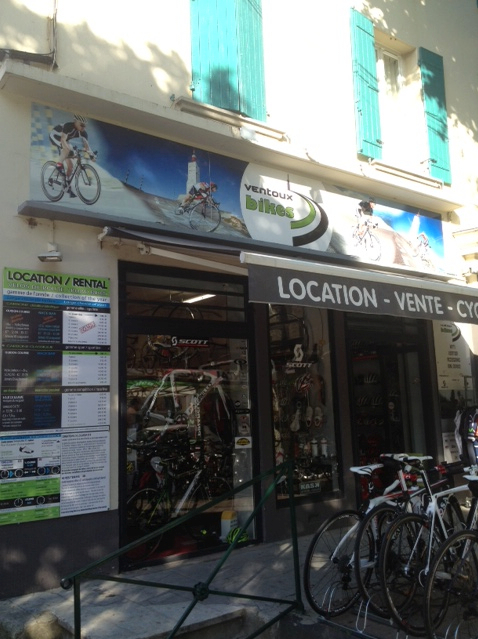 Visit the active bike shop Ventoux Bikes. Stop for a drink at the Chalet Reynaud on the route from Bedoin (south side), or at the Cafe on the route from Malaucene (north side). 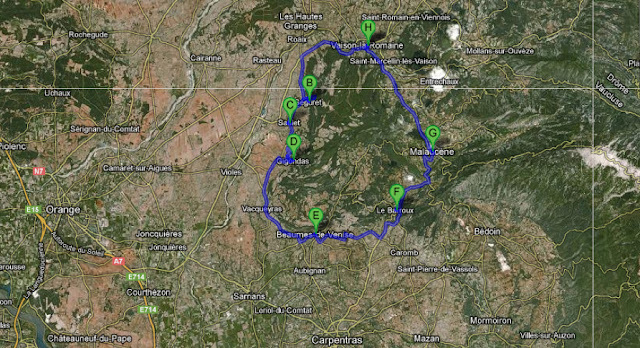 Don't tourist-multitask or overbook yourself in regards to this climb, ride it and enjoy the area. Return again to climb all three sides. 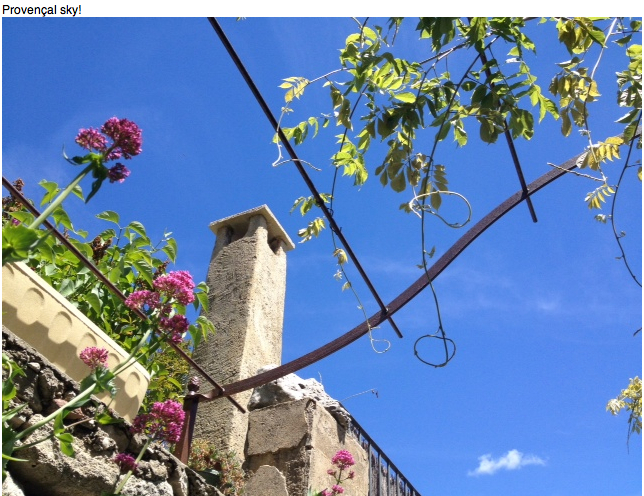 A fabulous place in Provence (near Rousillon), a place I enjoyed very much last year. Domaine du Crestet (north of Malaucene), where Mike and Suz and friend Liz are staying currently. You could look into this nice hotel which I have NOT visited: Hotel Crillon Le Brave in Crillon-le-Brave, France. 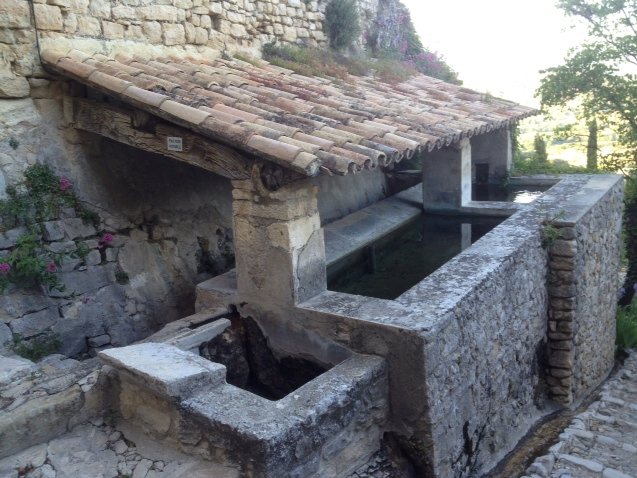 Or other hotels that rank well (use Trip-Advisor) in nearby Vaison-la-Romaine, Bedoin, Crestet, Sablet, Sault, or Malaucene villages (Avoid going near Carpentras or Orange or near the big highway). 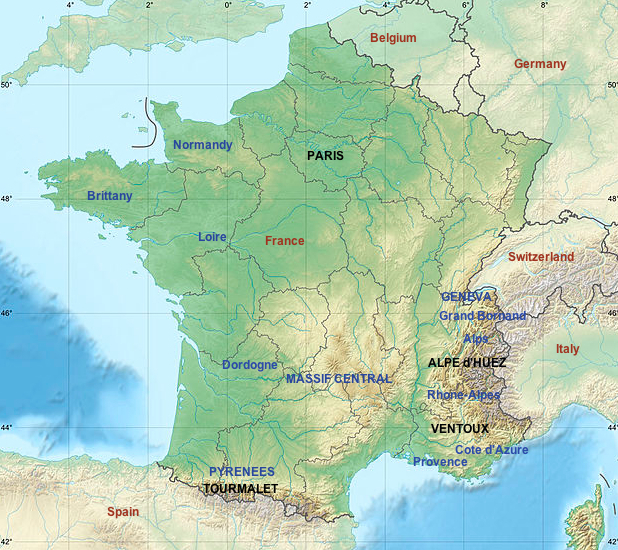 The area is referred to as Vacluse (Provence). We usually stay in places that range from 60€ - 125€ a night. Many offer breakfast. In Logis speak - "authentic charm means really basic." Look for a three chimney hotel with a good food rating, good location, and inexpensive (they exist). Bed & Breakfasts and Gites are not part of the Logis group of accommodations. 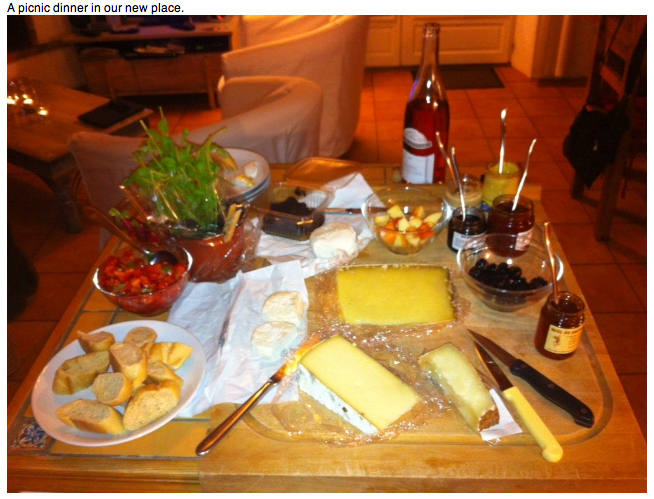 If you plan to stay and ride, renting a gite for a week for 2-8 persons can be less expensive and great way to settle in and cook a few meals at home (and enjoy the local wine without having to drive from a restaurant back home). Also a great way to enjoy what you have found in the local markets. Of course a leisurely 3-4 course lunch at a restaurant patio in France (after a ride) should not be missed. I prefer breakfast at the hotel, a nice lunch out (a good value), and a picnic dinner. With a few nights of special dinners out, when I know the food will be good. 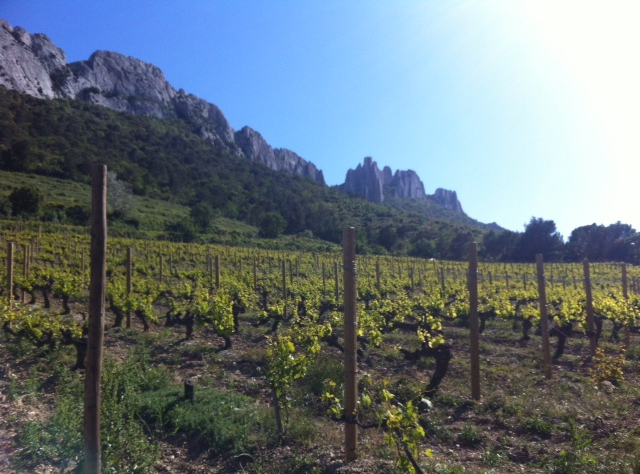 Recommended loop driving tour in the area: A day in the Vacluse and Rhone River Valley By Pedal Dancer. 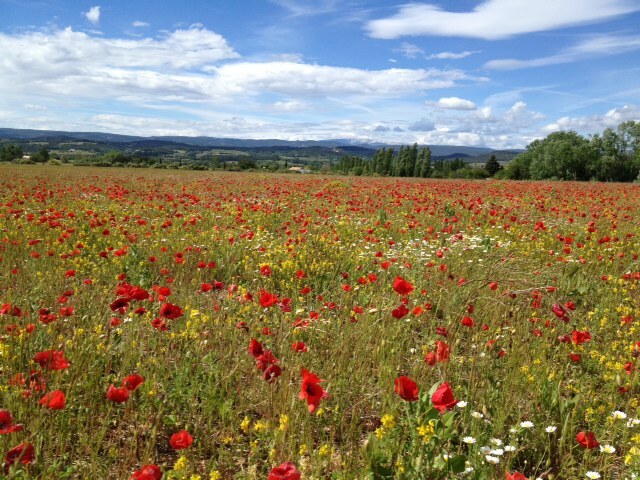 If you go in spring you will see the poppy fields in bloom and enjoy fresh cherries in the market, expect mixed weather. In summer the lavender fields and sunflowers bloom, you'll have hot temperatures and crowds of tourists. The mistrals can blow in either season and winds can reach up to 200 mph on the slopes of Mont Ventoux. Did I already mention to start your climb early? Fall, of course, is always a nice time to travel, but there will be no Criterium Dauphine or Tour de France to see. 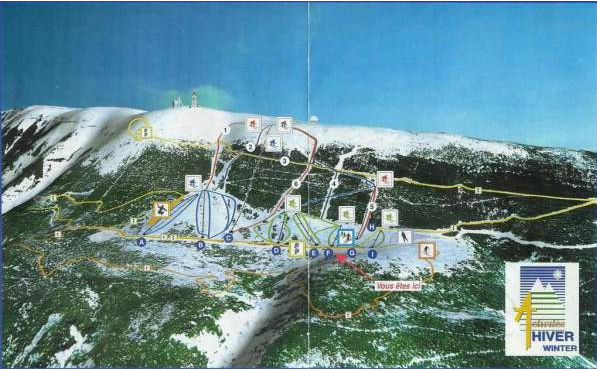 Did you know that you can ski on the north side of Mont Ventoux? Tourists pack the area south of Mont Ventoux (Provence), but don't forget about the west and north sides of Mont Ventoux, a little more quiet and an easy drive into the areas of Provence highlighted in all the guidebooks. >Mont Ventoux sits on its own, rising above the vineyards and farm fields between the Luberon and the Vacluse areas in southeastern France. It is part of a thrust fault that is the Alps, but as the bird flies - the mountain is a long way away, at the edge of the alpide belt, from what most of us think of as the French Alps. I would hear about Mont Ventoux for years before I realized it is just a big rocky mountain sitting out on its own upon old Roman lands. To read more about the history of Mont Ventoux and see pictures of the Bedoin climb, read one of my earlier posts from 2010: I love Mont Ventoux. To read more about the Malaucene side and photos I took in 2012 read: So what's up from France? Or more travel and photos from following the TDF in 2011: Tour Travel - Tour de France, Stage 15, one from the Guess Where series I did for awhile: Guess Where? #4. 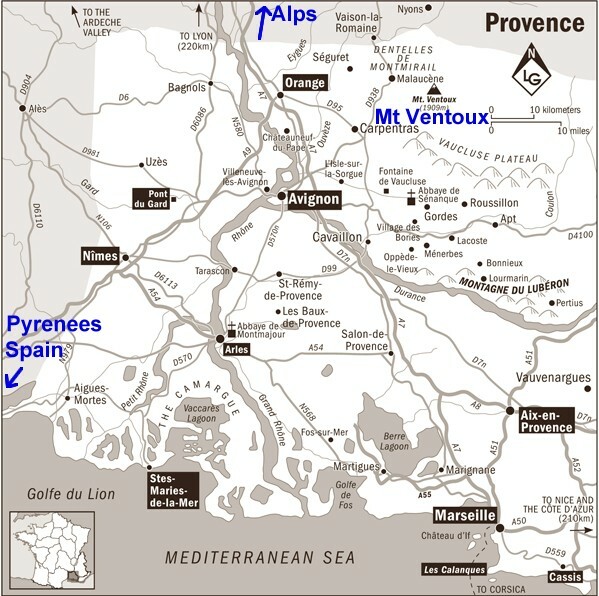 Recommended Reading: Ride Reports Climbing Mont Ventoux, By Gerry Patterson, Cycling Languedoc; Will from Cycling Challenge describes his ride here: Mont Ventoux – All Three Sides, By Cycling Challenge. More ride reports at Conquering the Beast, By the Wall Street Journal; Cycling Provence: Le Mont-Ventoux and Gorges de la Nesque, By Steephill.TV, and Rest Day, Up Mont Ventoux, by CyclingTips. Also for tourists please search through the blog Sablet House for more specific restaurant and tourist recommendations. 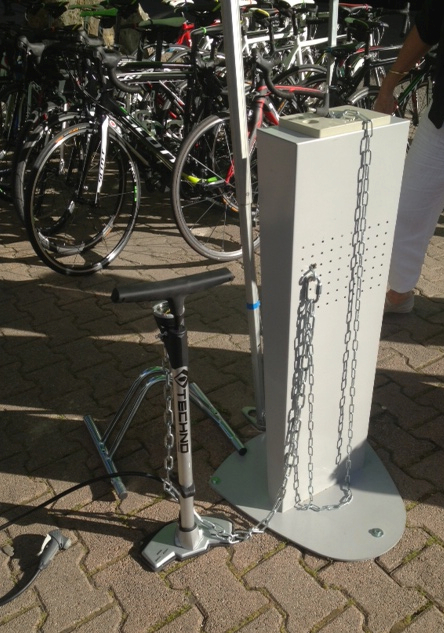 Related Pedal Dancer posts: Lots more pictures and previous stories I love Mont Ventoux, So what's up from France?, Tour Travel - Tour de France, Stage 15.